Is there a tree in your property that poses a serious risk to you and your family? Do you need to remove limbs that interfere with the structure of your home? Or maybe you need to plant more trees around your property but you do not know how to get started? All of these services are provided by an arborist. Whatever reason you have for hiring one, you must learn the most important things you should look for in order to come up with an informed decision. One of the first things you need to check is whether the arborist has the proper certification. They must be able to show any proof of their certification, as this allows them to prove that they are experienced and trained professionals. If they make any excuses, you’re better off keeping your money and moving to the next candidate on your shortlist. Just like you would check for their certification, you must also verify the insurance coverage. As you might imagine, removing a tree from your property can be a dangerous task. It is possible for your property to sustain damage. What’s worse, somebody from your family or the workers might get injured during the tree removal process. You do not want to pay for these unnecessary expenses. Should anything happen, the arborist must be held responsible. Make it certain that you choose somebody with general liability and workers compensation insurance. When it comes to price, do not feel satisfied with a handshake deal. Instead, you must ask for a written quote. The most reputable service professional providers will have no problems providing you a written estimate of their services. This must contain a detailed list of all the things you will have to pay for. Through this, you can feel safe knowing that your money will not go to waste. If, for any reason, the arborist refuses to provide a written quote, then do not think twice about rejecting the tree service contractor. It also helps to check the additional competencies of the arborist. For instance, you may want to check whether they are certified by the International Society of Arboriculture. This organization is responsible for assessing the knowledge and ability of individual arborists. Also, you must check whether the arborist carries the proper permits and licenses to operate in your area. Lastly, don’t forget to observe the overall customer service provided by the arborist. This is more important than basing your decision on the price you see on the written estimate. 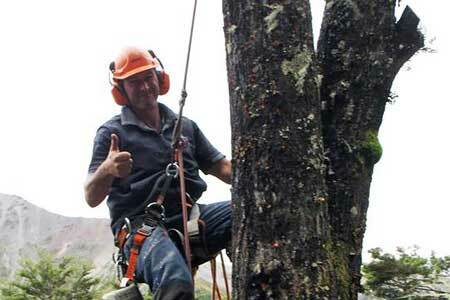 It is important that you feel confident of working with the tree cutting experts. One good sign is when the arborist asks relevant questions regarding the service. This shows that he takes your best interests in mind and wants to develop the best strategy based on your unique requirements. By keeping these tips in mind, you should have no problems finding the right arborist for the job. Never make the mistake of assuming that all arborists are created equal. Do your research in order to get your money’s worth.